What is the Patient Experience and Co-design Programme? It’s an initiative that involves teams from each of our hospitals including healthcare consumers/patients who work together on a problem or opportunity, and come up with solutions or ideas to address it. It’s a way of us tapping into patient experiences, expertise and insights to improve patient care – both for the consumer and the healthcare team. Can you give some examples of the types of projects nurses and consumers will be working on together? Is this the first time you’ve carried out a programme like this? No. In 2012, Southern Cross Hospitals participated in the first co-design programme offered in New Zealand by the Health Quality Safety Commission and UK National Health Service. As a result, we established our Blood Clots and YOU patient engagement initiative which has proven the value of co-design. Read more about it here. What role do consumers/patients play in the co-design process? Consumers/patients are essential partners when it comes to co-design. By sharing their ideas, experiences and stories, they give key insights into how we can make changes for the better. We capture their experiences in lots of different ways, and together with designers we test a variety of different solutions to improve experience. What are the benefits of patient experience and co-design programmes? Co-design in the health sector has evolved over the last 17 years with significant published benefits. These include improved effectiveness and efficiency of healthcare delivery and, most importantly, a more positive experience both for patients/consumers and healthcare teams. Co-design is a well-recognised quality improvement method which is used in a number of other sectors where it may also be called ‘human-centred’ design. Jane Bawden has visited hospitals a lot since her twins were born 19 years ago. Her son was born with special needs and has needed numerous general anaesthetics over his lifetime. 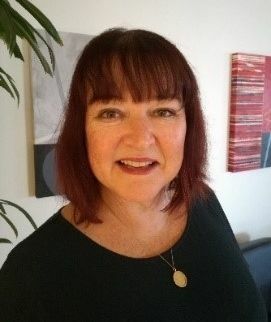 It’s a personal experience that means Jane, an Auckland barrister and former member of Southern Cross Hospitals’ Consumer Advisory and National Clinical Medical Committees, knows exactly how crucial patient experience and co-design is.